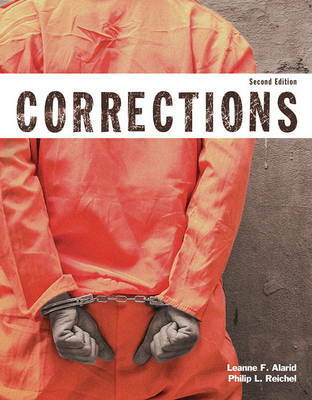 Corrections provides an affordable, thought-provoking look at corrections that uses clear writing and eye-catching visuals to get your students straight to the important concepts. By focusing on these core concepts, students will gain true understanding of the material, without becoming overwhelmed with unnecessary information. The text examines how evidence-based practices are used in corrections and how theory is linked to treatment and punishment of offenders. The book's conversation-starting pedagogy encourages active participation in learning, encouraging students to think critically about community corrections, prison life, treatment of offenders, reentry, legal issues, the death penalty, and juveniles in corrections. This title is also available with MyCJLab-an online homework, tutorial, and assessment program designed to work with this text to engage students and improve results.This powerful homework and test manager lets you create, import, and manage online homework assignments, quizzes, and tests that are automatically graded. You can choose from a wide range of assignment options, including time limits, proctoring, and maximum number of attempts allowed. The bottom line: MyLab means less time grading and more time teaching. NOTE: You are purchasing a standalone product; MyCJLab does not come packaged with this content. If you would like to purchase both the physical text and MyCJLab, search for ISBN-10: 0133895556/ISBN-13: 9780133895551. That package includes ISBN-10: 0133908968/ISBN-13: 9780133908961 and ISBN-10: 0133587606/ISBN-13: 9780133587609. MyCJLab should only be purchased when required by an instructor.